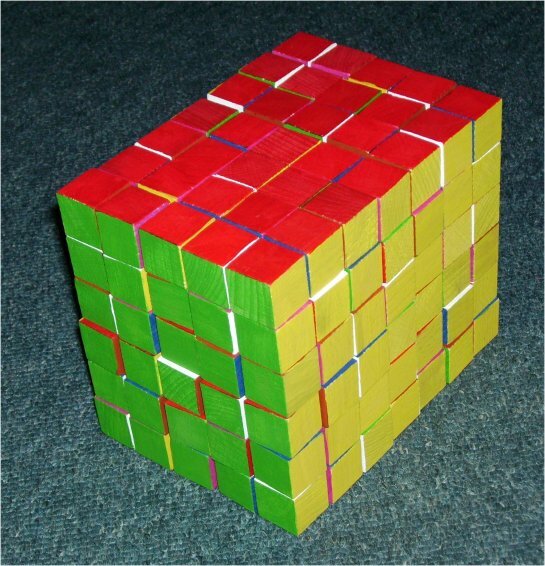 With these 210 cubes I tried to construct a 5x7x6 box with opposite faces same colored. But this was really hard. At last the following strategy worked. Each piece has a 'dual' piece with color brown and blue swapped. Now you can look for a 5x7x3 box with 105 pieces which doesn't contain any pair of dual pieces. Such a construction can easily be transformed in a similar construction for the unused 105 pieces with all other colors unchanged. If both constructions match, a solution is found. The number of constraints in the last layer is much smaller in such a construction then in the whole cosntruction. Partials with only one missing cube were produced at a rate of about 2/day and after 14 days a solution popped up on a 1,6 GHz notebook. 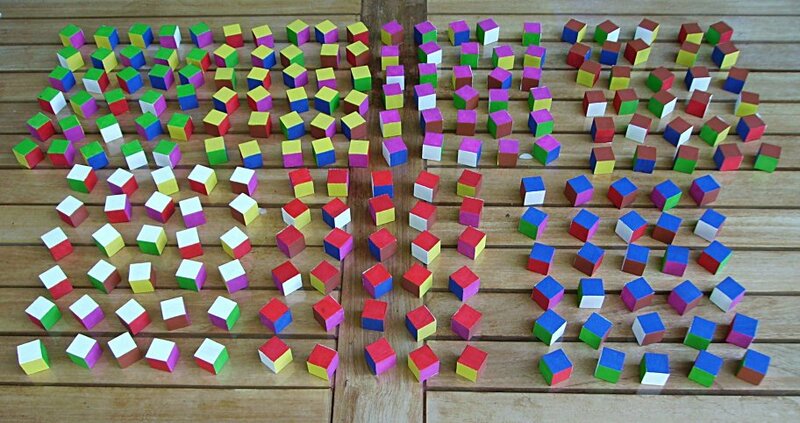 Finally I painted 210 wooden cubes with acrylic colors to get a real construction. 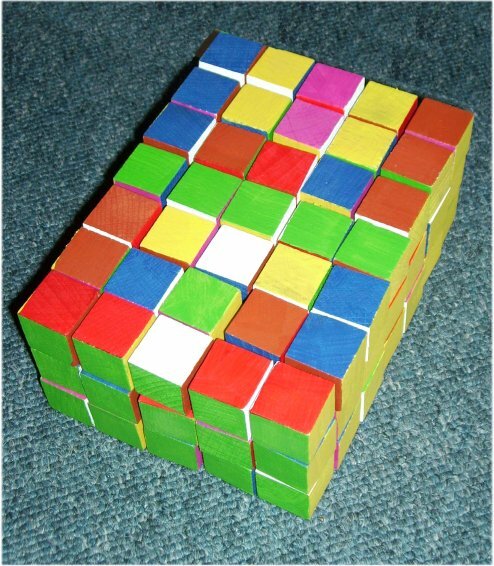 It isn't that easy to find the right cube according to the computer solution in the large set. Therefore the set had to be dissected into subsets each with one color missing. Here is half the construction. The similar construction with blue and brown swapped can be turned around and put on the first half. With all layers shown in the computer solution you can see the method of the construction.